Network Rail is upgrading the Brighton Main Line – one of the busiest and most congested routes in the country – to provide more reliable, faster and frequent services on the Brighton Main Line and its branches. Key to the upgrade are major proposals to remove the most challenging bottleneck on Britain’s railway network at the ‘Selhurst triangle’ and East Croydon station - the East Croydon to Selhurst Junction Capacity Enhancement Scheme (the Scheme). We are now speaking with passengers and the public about our proposals for this Scheme and would like to hear your views. between East Croydon, Selhurst and Norwood Junction stations – which funnel trains to and from London Victoria, London Bridge and beyond – making the Croydon area one of the busiest parts of Britain’s rail network. Because of the density of junctions in the area – more than anywhere else on the national network – trains often have to wait at red signals leading to congestion, delays and unreliable services. The Croydon bottleneck magnifies the impact of even the most minor incident or delay along the line, making it much harder to get trains back on time when things go wrong. 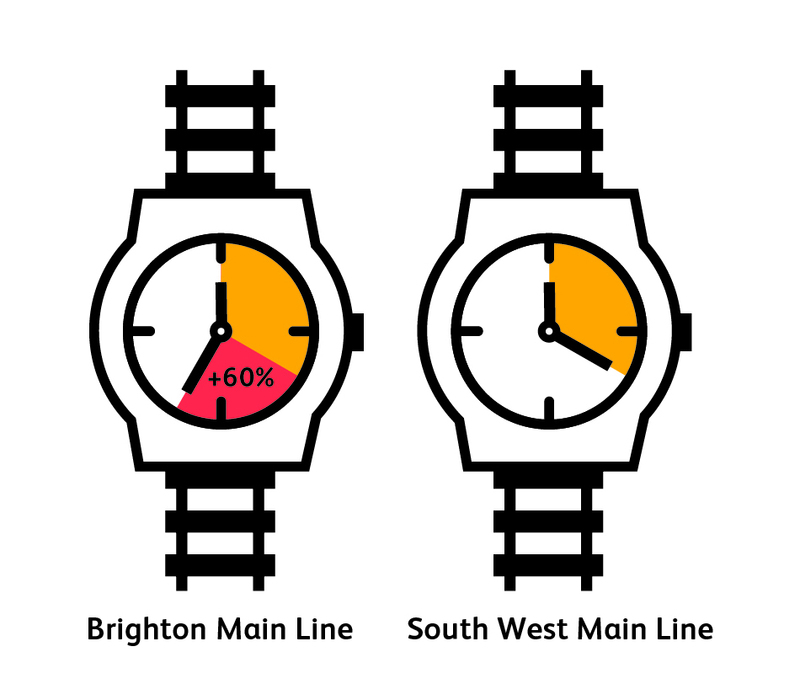 This is why passengers on the Brighton Main Line experience 60% more knock-on delays when an incident occurs compared to the South West Main Line, which has similar passenger numbers and service frequencies. The passenger numbers on the Brighton Main Line have more than doubled since the year 2000 with trains on this part of the network regularly featuring in lists of the nation’s most crowded services. 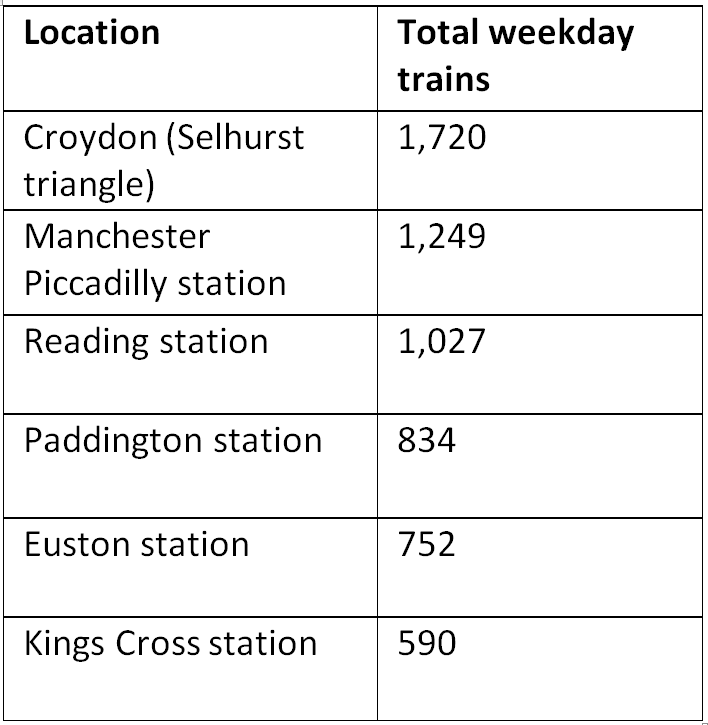 The Croydon bottleneck means that there is no capacity to run more trains to cope with forecast growth in demand on the line, leading to even more overcrowding in the years ahead unless action is taken. A rebuilt station with two additional platforms, a larger concourse with improved facilities for passengers and better connections with the town centre and other transport links to support the ongoing regeneration of central Croydon. These new station works would also be designed to allow for the potential future construction of new offices and homes above the new station. To provide for more platforms at East Croydon station and the reconfiguration of the ‘Selhurst triangle’ junctions we would need to expand the railway from five to seven tracks north of East Croydon station. This would require the current bridge over the railway to be rebuilt to provide space for the two additional tracks. Our proposals for the Scheme would support planned works to the existing railway which form part of our wider project. CARS includes works at Norwood Junction station to reconfigure the tracks to enable more trains to run, increase station capacity and provide step-free access to all platforms at the station. Improving track layouts and remodelling the junctions at the ‘Selhurst triangle’ and constructing two new tracks and two new platforms at East Croydon station would remove the current Croydon bottleneck, which causes daily delays and disruption and so improve the punctuality of the service. More tracks and remodelled junctions also mean we would be able to speed up some services through the area. Once we deliver our Scheme proposals to unblock the Croydon bottleneck to improve the reliability of existing services, we would then be able to consider working with train operators on the running of more services to meet the forecast growth in demand. 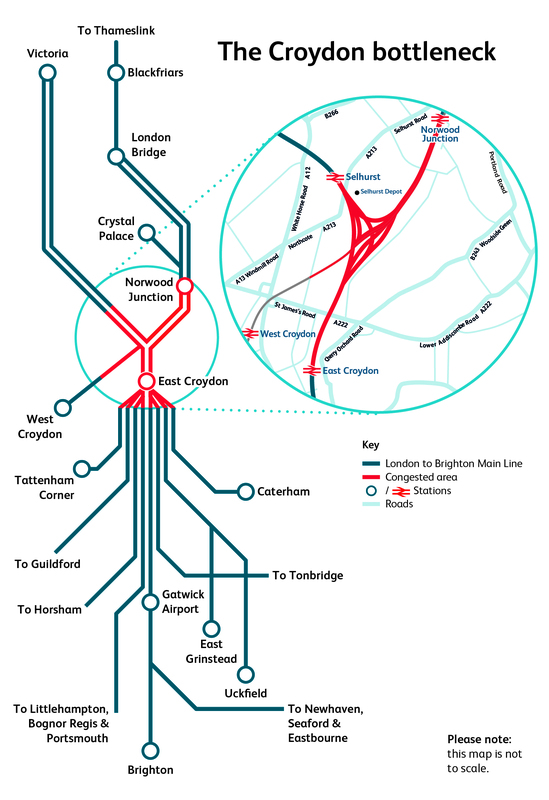 As the main route connecting the capital with Gatwick Airport and the south coast, improving the Brighton Main Line will provide a significant boost to the regional and national economy. We would provide greatly increased concourse space, new entrances and transform passenger facilities with the possibility of future development above the new station. Delivery of step-free access and platform layout improvements at Norwood Junction station. Our Scheme proposals for removing the Croydon bottleneck require work to take place outside the railway boundary. Where we are proposing to use land or build outside of the railway boundary, we must prepare an application for a Transport and Works Act Order (TWAO) from the Secretary of State for Transport. If permission is given we would have the necessary powers to undertake the work. We are now consulting with the public, stakeholders and the wider rail industry on our proposals for the Scheme. Your feedback submitted will help inform us in developing our Scheme proposals for which will then seek permission to deliver through a TWAO application. Where works required for the wider CARS, including works at Norwood Junction station, will be constructed within the railway boundary, these works would be constructed by Network Rail under Network Rail’s permitted development rights. While our Scheme proposals for unblocking the Croydon bottleneck and upgrading the railway within the Croydon area are at a very early stage, we are committed to working with passengers, businesses and residents to ensure any disruption from our work is kept to a minimum. We will be undertaking a detailed Environmental Impact Assessment of our Scheme proposals. The findings of this assessment will be presented in an Environmental Statement, which will form part of the TWAO application.